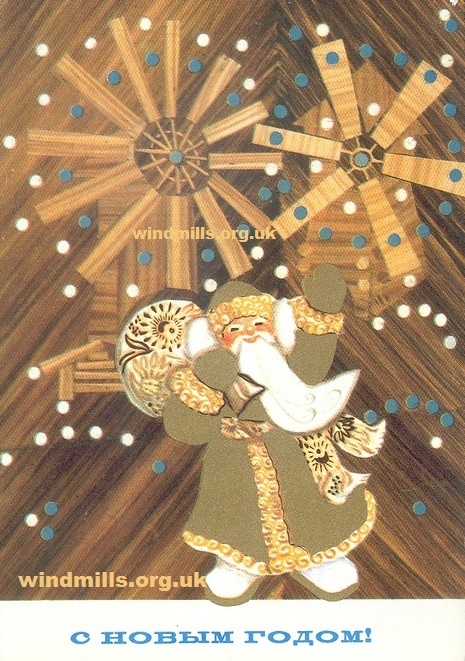 A late 1960s Russian Christmas Card featuring Saint Nicholas and two windmills. Merry Christmas to windmill enthusiasts everywhere! This entry was posted in Old Images, Uncategorized, Windmills and tagged Christmas card, windmills on December 24, 2013 by Tower Mill.